3rd and 4th of March : 2 days of SQL Server conference delivered by some of the best speakers on the planet. 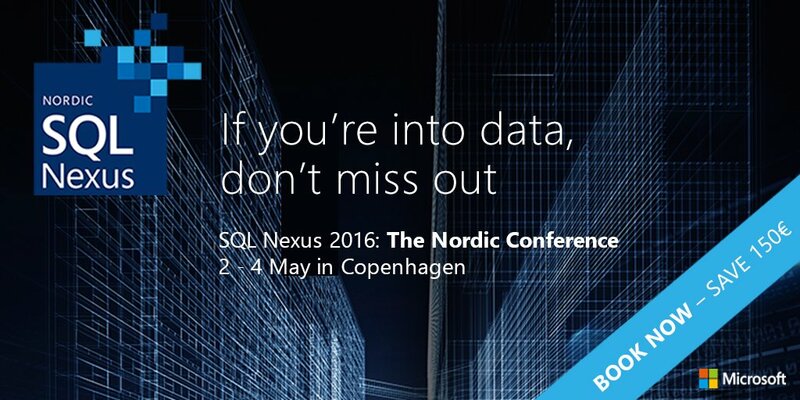 I’ve been to the 3 previous SQL Rally Nordic. The first two as an attendee / sponsor and the third one as a speaker. I don’t want to miss the upcoming one and neither do you. Since its first edition in 2011 the conference has increased in both quality and popularity. This years edition will find place in Denmark from 2nd to 4th of March. This is a unique opportunity to meet a lot of international and local top-notch speakers and to attend more than 30 sessions about Business Intelligence, Development and DBA work over a 2 days period in Copenhagen on the 3rd and 4th of March. Furthermore there is also a full day of pre-conferences from internationally acclaimed speakers such as Itzik Ben Gan, David Peter Hansen, Brent Ozar, Grant Fitchey, Rafal Lukawiecki and Peter Myers. This years agenda is impressive and have just been published and can be downloaded here. I have the privilege to be involved into the organization of the event this year and I can already tell you that it is going to be a blast. We are introducing a PASS Community Zone where attendees can come and share their interest with peers. Below is a picture of the PASS Community Zone at PASS Summit 2014 in Seattle just to give you an idea of how it looks like. We are expecting a lot of people to come and crash on the bean bags and recharge their favorite device. This year will also see the introduction of a new “Power Supply bank”…. Kongresfilm 2014 – Tivoli Congress Center som venue from Woco Film on Vimeo. Register today for the conference and/or the pre-conference as prize will change on 15/1.